This year is the first year that The Bug is really starting to get into the whole Christmas thing. We’ve tried activities in the past but they all sort of went over her head. With us moving, I haven’t been able to set up the Christmas tree yet, something that I usually do November 1st. 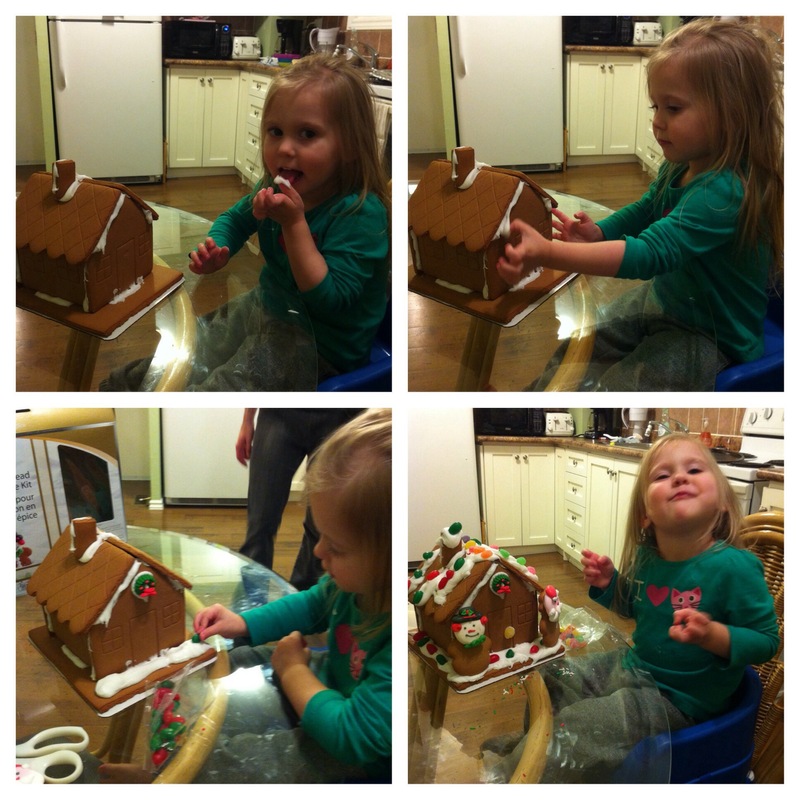 So to bring some holiday cheer to the new house I say down with The Bug and made a gingerbread house. She loved it! I have a feeling this will be a regular activity in the advent season.